Now open in DOWNTOWN FATE, TX! FourCzechsBakery takes pride in creating traditional Texas-Czech pastries of the highest quality. 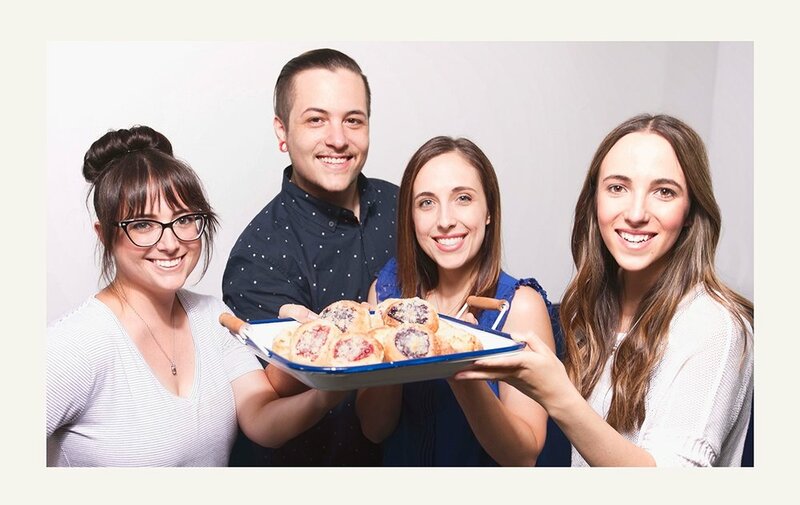 We accomplish this by using a tried-and-true family kolach recipe; creating all of our fillings from scratch using simple, high-quality ingredients. also spelled kolach /kō-lach/ or pl. /kō-lach-es/, from the Czech Republic, is a type of pastry that holds a portion of fruit, surrounded by a puffy cushion of supple dough. /klō-baz-nik/, pl. klobásníks, is a Texas-Czech savory variation of the kolach; most Czechs hold the distinction that kolaches are only filled with non-meat fillings. Emily, Sarah, Ivan, and Katie Prochaska (their last name translates from Czech as "a stroll") were born and raised in Royse City but made frequent visits to South Texas over the years to visit family. 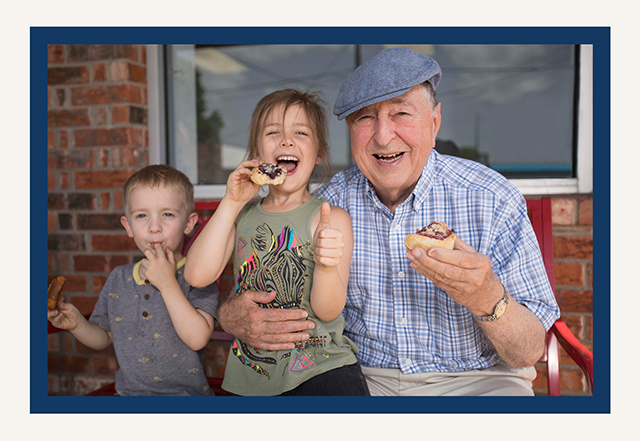 Like most seasoned Texas travelers, a stop in the small town of West for a delicious kolache was always on the itinerary. In 2014, wishing for a "real" kolache closer to home, the four non-bakers decided to try their hand at it - not a quick and easy task they soon found out! But after several failed attempts, they perfected the process and created a kolache that would make their great-grandmas Prochaska and Vincik proud. Within a few months, they were selling their handmade kolaches to family and friends. Today, they feel blessed and honored to be able to share their delicious Czech pastries with the residents of Fate, their North-Texas neighbors, and any traveler who may just be strolling through.